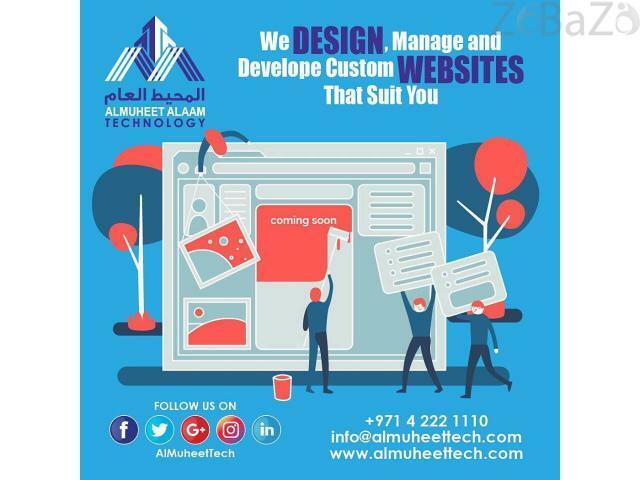 Al Muheet Al Aam Technology an interactive and prominent Design Agency in Dubai is offering creative web design solutions in Dubai, Abu Dhabi, Ajman, Sharjah and all across the UAE. We offer custom WordPress website development, E-Commerce, Portal, Dynamic and Static websites. We're a full-service website design solutions providers with a team of skilled and professionals.